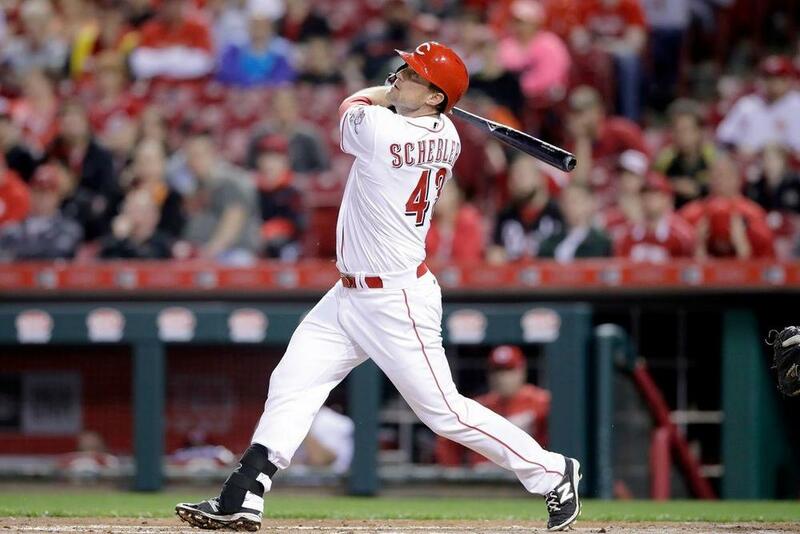 Scott Schebler (OF-CIN) Schebler had a big night Friday going 3 for 5 with a double, home run and 2 RBIs. Schebler had been in a 2-20 slump since returning from a shoulder injury that kept him out over a month, so the big game was great to see. Schebler, who put up big power numbers in the Dodgers minor league system, got off to a good start in his first full season in the bigs last year launching 30 home runs. Schebler has only played 82 games to date in 2018 due to injuries but has still managed to put his power on display despite a 22.1% K rate hitting 17 doubles and 13 home runs. His 2018 average of .271 is more in line with his 2016 season, and it looks like a .248 BABIP last season was the culprit as his .312 2018 mark is more in line with his first 2 seasons. If fully healthy, Schebler still has an outside shot at 20 homeruns, and could be a nice addition for a fantasy team looking for some extra power heading into the playoffs. Travis Shaw (2B/3B-MIL) Shaw went 1 for 4 with a 2-run homer, his 27th Friday night. The home run puts Shaw that much closer to his second consecutive 30 home run season as last year's power surge seems to be no fluke. Shaw has experienced a nearly 30-point drop off in batting average which could be attributed to his BABIP dropping from .312 last year to .248 this year. Nevertheless, Shaw has improved his walk rate (9.9% to 11.8%) and decreased his K rate (22.8% to 17.5%) compared to last year. For fantasy owners his addition of 2B eligibility is a massive boost and if you can overlook the dip in average this year, Shaw is worthy of being in you're starting lineup on a daily basis. Nick Pivetta (SP-PHI) Pivetta lasted 5 innings Friday allowing 1 run on 5 hits, while walking 3 and striking out 6. The only run Pivetta allowed was on a solo home run to Javy Baez as he worked around the other 7 baserunners he allowed. He continues to pile up the strikeouts and now has 168 in 141 innings - good for a 10.72 K/9, 4th in the National League. His 4.66 ERA is rather unsightly but his 3.61 FIP and 3.28 xfip indicate he has been considerably better than the ERA shows. This is similar to last season when he posted a terrible 6.02 ERA in 133 IP but held a 4.26 xfip. The .337 BABIP and 1.32 HR/9 have been his downfalls this year but he is almost a lock to at least notch 1 strikeout per inning on average. He lines up for a start vs the Marlins his next time out. Paul DeJong (2B/SS-STL) DeJong went 2 for 5 with a home run and 5 RBIs Friday. It has been a down season across the board for DeJong, who has seen a substantial drop off with his 2018 line (.232/.309/.428) when compared to his 2017 rookie season (.285/.325/.532) so the 5 RBIs are a welcome sight. While he has missed time due to injuries, and the triple slash is down there are a few positives. He has been more selective at the plate, cutting his swing rate from 51.4% last year to 44.2% this year. That has seemingly led to an almost doubled walk rate (4.7% vs 7.9%) and a slight decrease in K rate (28% to 26.1%). He still has chipped in 34 extra base hits in 2018 and could give a huge boost to the Cardinals as they enter the stretch run. Christian Yelich (OF-MIL) Yelich went 2 for 4 with a stolen base and run scored Friday night. Yelich went 0-4 with an RBI the day following his massive 6-6 cycle game got back on the hit parade Friday with yet another multi-hit effort. Yelich turned in a great first half hitting .292 with 11 home runs but has raised the bar since the All-Star break by absolutely mashing to the tune of a .363 average with 30 extra base hits (15 home runs) 33 RBIs and 33 runs scored. Yelich is hitting the ball better all-around but has crushed lefties to the tune of a .338 clip, a big uptick from his .266 avg vs lefties in 2017. The brilliant second half has vaulted him into the thick of the National League MVP race as well with his overall line of .317/.379/.558 growing every day.